The University of Southampton will be making major reforms to its teaching and student support in response to radical changes in the funding of higher education in England. The ground-breaking reforms will include teaching programmes that enable future students to personalise their learning, as well as generous fee waivers and bursaries. They are timed for the introduction of new 2012 tuition fees following unprecedented cuts to higher education funding. The University today (Tuesday 12 April) submitted its application to the Office for Fair Access (OFFA) to charge fees ranging from £6,000 to £9,000. Under the proposals, over 20 per cent of new undergraduate students will receive a fee waiver reducing the cost of their programme to the minimum £6,000 for each year of their degree. Overall more than one third of all new students will receive some form of fee relief from the £9,000 standard fee. The University's 'Access to Southampton Bursary' programme will focus on supporting students from our network of schools and colleges in Hampshire and the Isle of Wight, as well as providing targeted support to students with particular needs. Commenting on the proposals, Vice-Chancellor Professor Don Nutbeam said: "We want to ensure that the University of Southampton maintains its leading position as a place of opportunity for talented students regardless of their background. We recognise the genuine concerns about debt expressed by prospective students, especially those from households with lower income, and are offering some of the most generous fee waivers in the sector. "Our fees have been set at a level that will enable us to secure the future of the University following government funding cuts, and invest in improvements in the quality of teaching and the overall experience of students at the University." The University is creating a unique teaching and support package that will benefit all of our students, enabling them to customise their experience at Southampton. This includes eliminating any hidden extra costs, such as charges for field trips, from our academic programmes. Plus we will be introducing a £300-per-year credit for all home/EU undergraduate students paying the standard fee, to spend on sports, the arts, public transport and a host of other services. Commenting on the changes to teaching and student support, Pro Vice-Chancellor Professor Debra Humphris said: "We will offer our students an outstanding education in a world-class research university. Students can expect to be taught and supervised by researchers at the cutting edge of their discipline, with the opportunity to study in and with some of the latest research facilities and equipment. "We will draw upon our extensive links into business both regionally and internationally to ensure that our students will be prepared to enter a highly competitive and increasingly global labour market. "I have today written to over 370 schools and colleges that are part of our network to provide them with the latest information on our proposed fees and to invite them to a summit in June, where in keeping with our aim to increase access to higher education we will seek ways to encourage the continued participation of the most capable students, regardless of their background." * The University of Southampton is ranked in the world's top 100 universities, according to the most recent (2010) Times Higher Education World University Rankings. * In the 2009/10 HESA performance indicator, 84.5 per cent of our students came from state schools. This is six per cent above our location adjusted benchmark. * Twenty-one per cent of our students come from households with an income below £25,000. * The University of Southampton is introducing a tapered fee waiver from household incomes between £25,001 and £42,600. * The government's National Scholarship Programme will contribute less than 20 per cent of the cost of the University's fee waiver scheme. 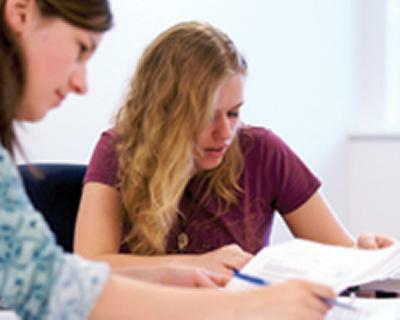 * £9,000 is the annual fee for full-time undergraduate study for UK/EU students enrolling in 2012, including Foundation Year courses, all years of study on Bachelors of Medicine and our four-year integrated Masters courses. * The University will take over the funding of the AimHigher initiative, which has been cut by government, and by 2014 will have quadrupled the funding to expand its outreach activities. * Each student will have an academic advisor to support their independent learning and progress. * The new flexible curriculum could see students expanding their knowledge by choosing to study a second language or explore a global challenge in another discipline. * The Student: Staff ratio for the University is 13.9:1 against a sector average of 17:1.